“What is the ‘public domain’? January 1st is chosen as Public Domain Day because of the way copyright law works. When copyright expires on a work, it enters the public domain on January 1st of the following year. So this day is when we should be able to list all the books and songs and movies that have been freed this year, and in some jurisdictions they will be able to do that. Unfortunately for people living in the United States, this is another year when nothing will be entering the public domain. Because of retroactive changes to their copyright law, nothing will be freed until at least 2019. Given their track record, they most likely won’t be freed then either, as they will probably extend the term yet again. 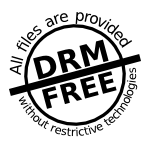 Follow this link to a list of things that would be free now if US copyright hadn’t been extended in 1978, and made retroactive. It’s one thing if a jurisdiction thinks it’s best to extend the term of copyright, but quite another to apply the extension to existing works. Wouldn’t it be more reasonable for the new law to only apply to new works? Here’s just a sample of some books that could have been in the public domain today: Truman Capote, Breakfast at Tiffany’s, Agatha Christie, Ordeal by Innocence and Graham Greene, Our Man in Havana. Well, what’s wrong with that? Why shouldn’t the author’s descendants, or the corporations that now own these copyrights be able to continue to control the publication of these works? You should follow this link if you want a proper explanation, but I can provide a few meager hints here. First, it’s supposed to be part of the deal. Copyright is provided by law to give the creator of a work a temporary monopoly on its publication. In return, the creator agrees to release it into the public domain after a reasonable time. When that time becomes unreasonably long, it betrays the intent of the law, and the bargain that was made. It deprives other creators of the raw material that was supposed to be there. It results in orphan works that no one is getting any value from, but which are still locked away. It makes education more expensive. I can’t say happy Public Domain Day this year, at least not for Americans. Their pursuit of ever-longer copyright terms has made that a hollow greeting. But I’ll say it anyway because I’m an optimist. I’m optimistic that people will see the harm being done to their public domain by unreasonable copyrights. I’m optimistic that there will be no more extensions to copyright terms. I’m optimistic that the current overlong terms will be rolled back eventually. I’m optimistic that reason will prevail and that copyright will one day fulfill its intended role of feeding the public domain. You might think I’m too optimistic, even naive. I don’t mind. That’s just how we optimists are. So, Happy Public Domain Day 2015. Had to share that one on facebook. Happy Public Domain Day Jim! And a Happy New Year too!.